Bed And Breakfast86 sq. ft. 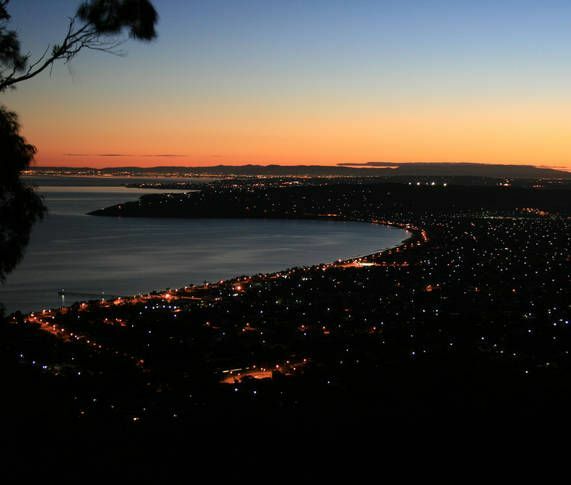 Experience the spectacular views of the Mornington Peninsula and Port Phillip Bay. Whether by day or night they are imposing. It is a relaxing, serene romantic hideaway with scenic walks and major attractions on your doorstep. Offering luxurious accommodation with a touch of French Provincial style, Dream Views B&B is located at the summit of Arthurs Seat. A modern architect-designed property, it features top class fittings and furnishings with a large decked area and out door bath. It offers a private entrance from guest parking with spacious living and bedroom area and a separate bathroom. Breathtaking views. Wonderful comfort and opportunity to indulge in outdoor bath under the stars. So luxurious. Perfect retreat. It was delightful meeting you both. Thank you for staying at Dream Views and caring for it so well. I so pleased you enjoyed your stay and hope to see you again. Best wishes Loretta. Breathtaking views and excellent hospitality! Would highly recommend this to anyone who needs a weekend away!